Dude! Duuuude. This book has wonderful characters and vibrant illustrations. And must be read aloud. It shows how how many ways you can say one word, and that word mean so many different things. Dude also has a great lesson on being nice to others. 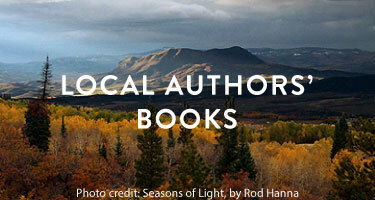 — From May Staff Picks to Get You Ready for Summer! Aaron Reynolds, the author of Nerdy Berdy and Creepy Carrots! 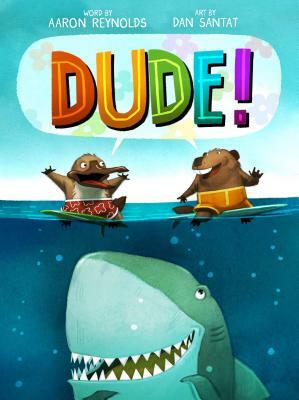 teams up with Dan Santat, the Caldecott–winning illustrator behind The Adventures of Beekle: The Unimaginary Friend to create the hilarious, gnarly summer adventure picture book, Dude! It's totally about this platypus and this beaver who are friends. They want to go surfing but dude, there's this shark who's in the ocean, too. But don't worry. This shark approaches and you'll never guess what happens. Aaron Reynolds is a New York Times bestselling author of many highly acclaimed books for kids, including Carnivores, Chicks and Salsa, Joey Fly, Nerdy Birdy, and the Caldecott Honor winning Creepy Carrots! He lives in the Chicago area with his wife, two kids, four cats, and between three and ten fish, depending on the day.